We just got back from our fourth camping trip of the summer and the weather cooperated, we had a beautiful site and the company wasn't too shabby either. ;) We had a spot directly across from this beach and spent all day playing and relaxing. 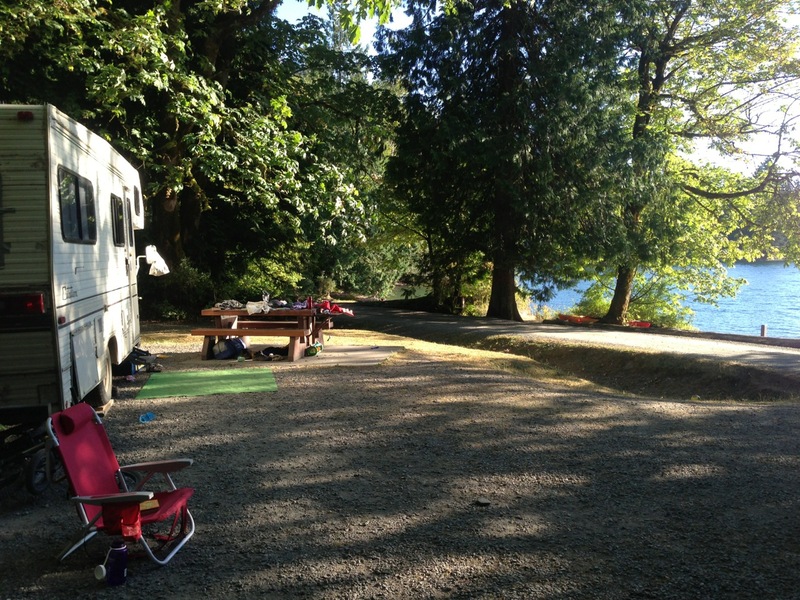 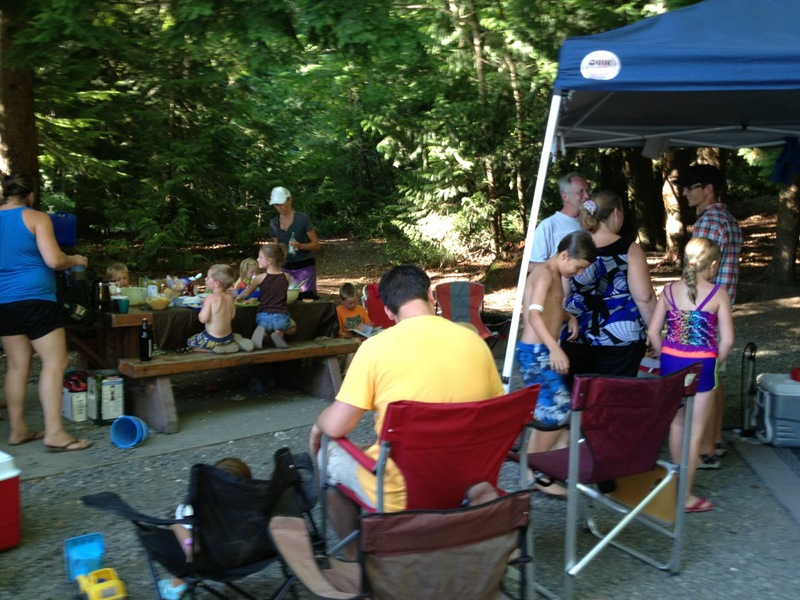 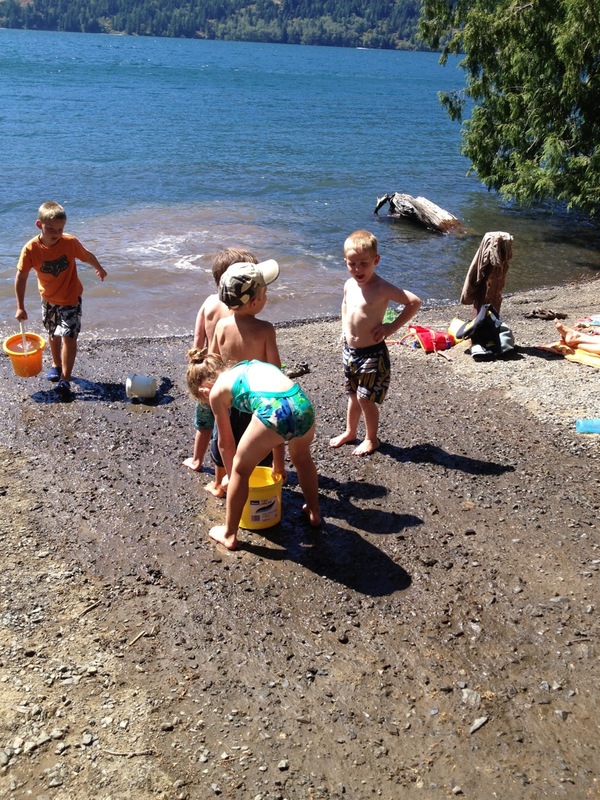 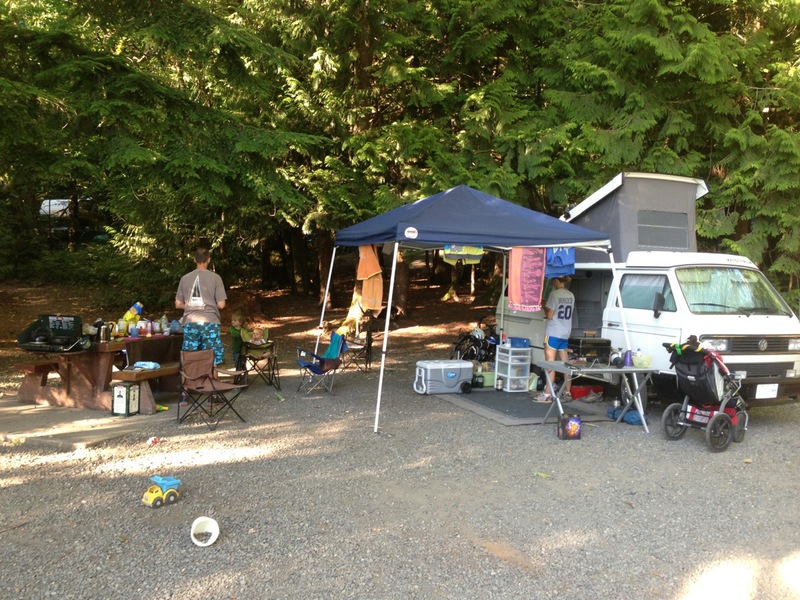 We had a few friends camping in various spots throughout the campground the they joined us for daily fun at the beach. Ty is a little fishy in the water and really improved in his swimming skills here. 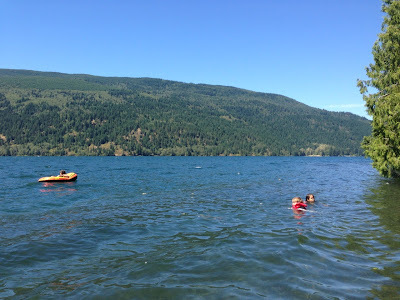 He kept wanting to swim out further and further with us and on our last day we took off his life jacket and he swam a few strokes without his floatation device. 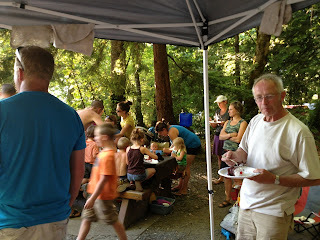 We were camping with our friends Mike and Patti and we invited a bunch of friends up one night for a party. It also happened to be Mike and Patti's 26th anniversary so we celebrated with some cake. We also had a very short 24 hour visit from our friend Steve. 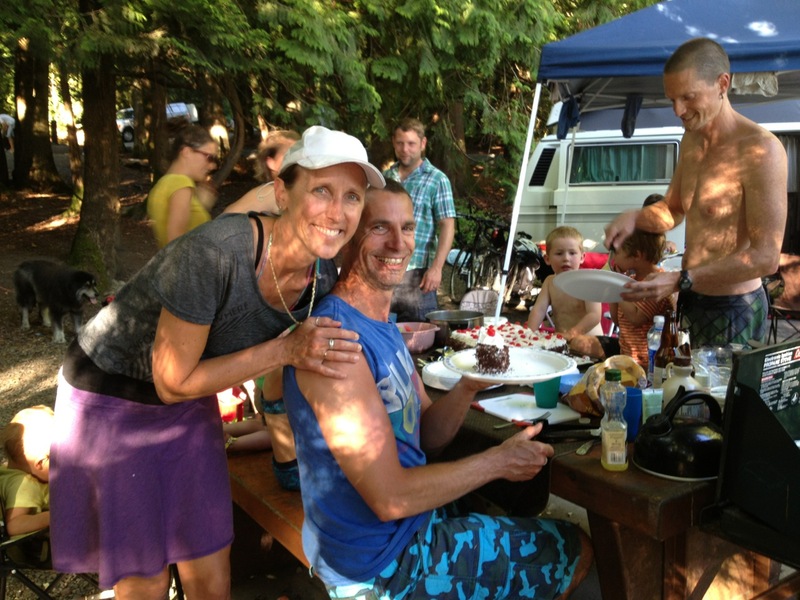 Steve is currently teaching in the Gambia and although the 24 hours passed much too quickly it was great to reconnect with him!! Steve comes up with great games like hide the beans and we really enjoyed our campfire discussions with him. 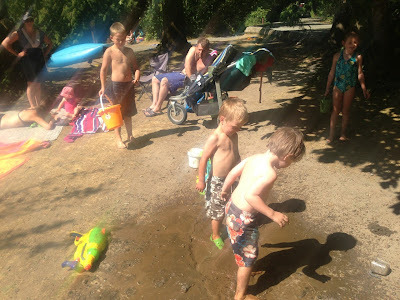 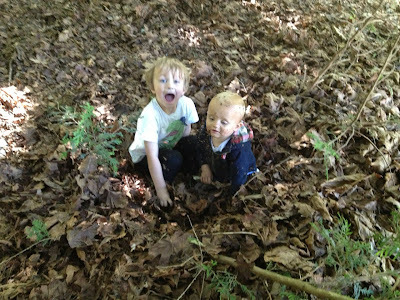 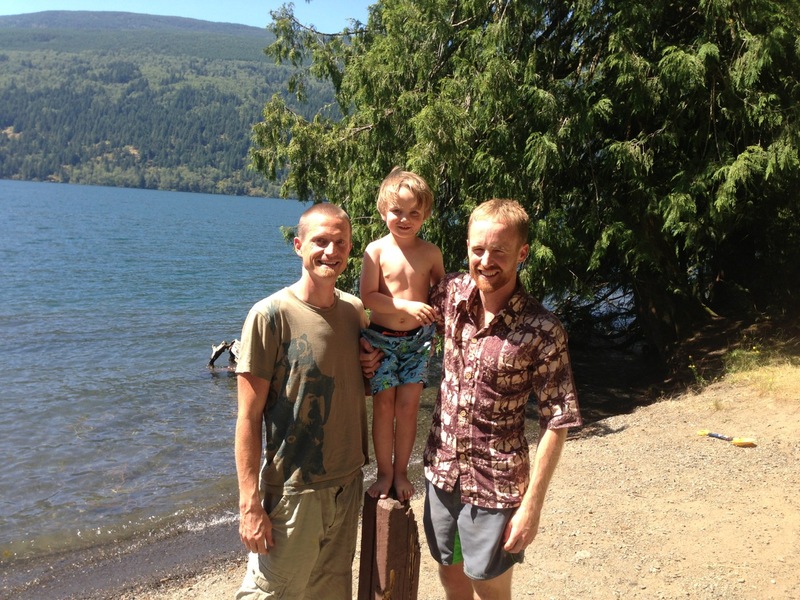 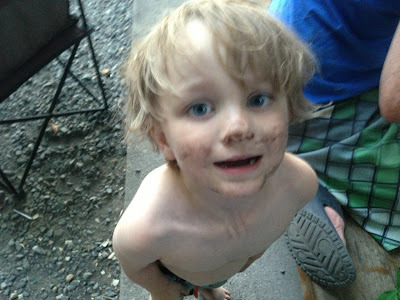 Our boys got so dirty everyday but that is what camping is all about!! Until next time . 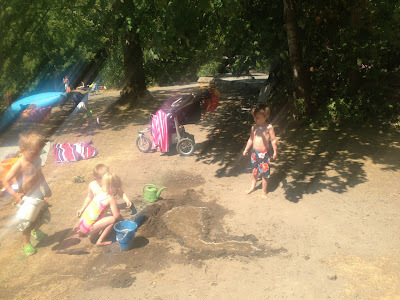 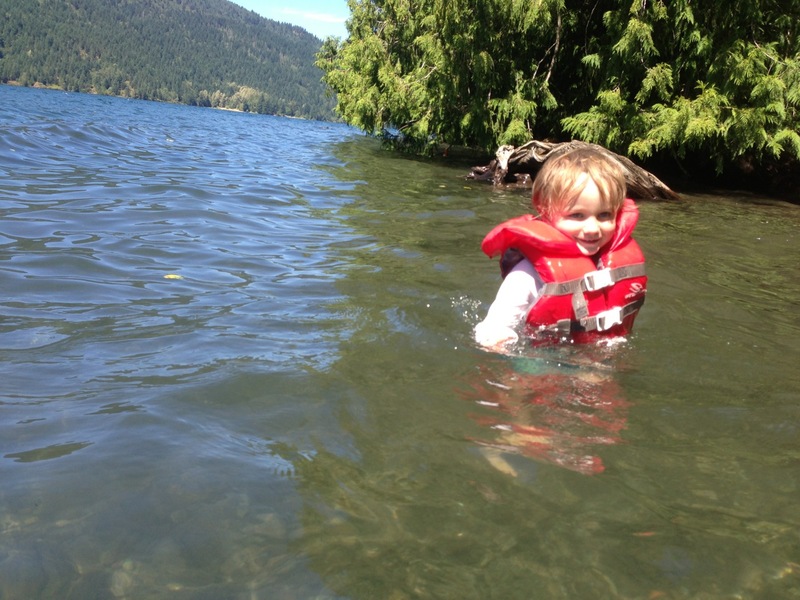 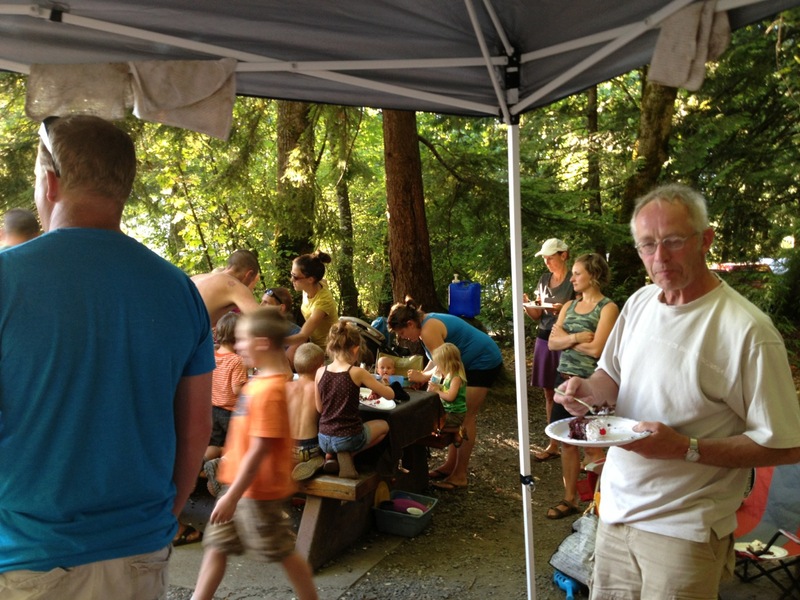 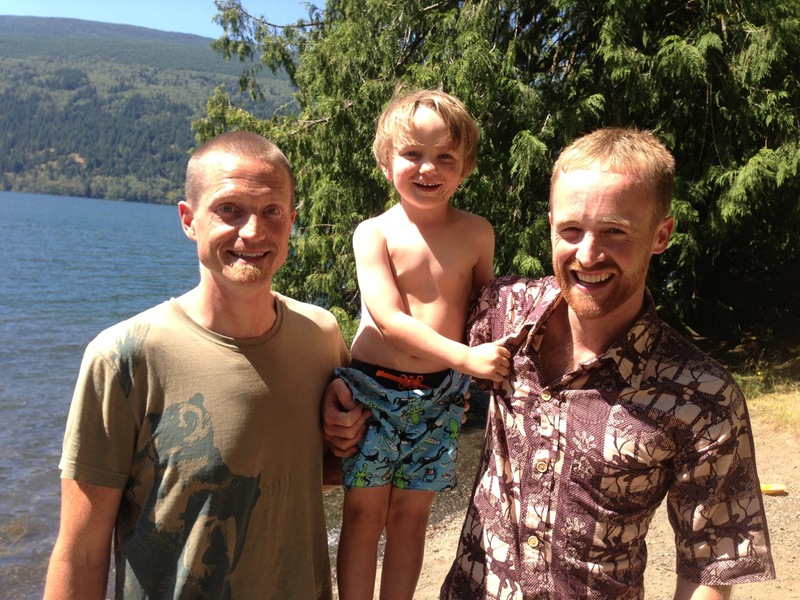 . .
A camping trip with kids can be a unique and exciting event however it is important to consider the kids when you are planning the trip.